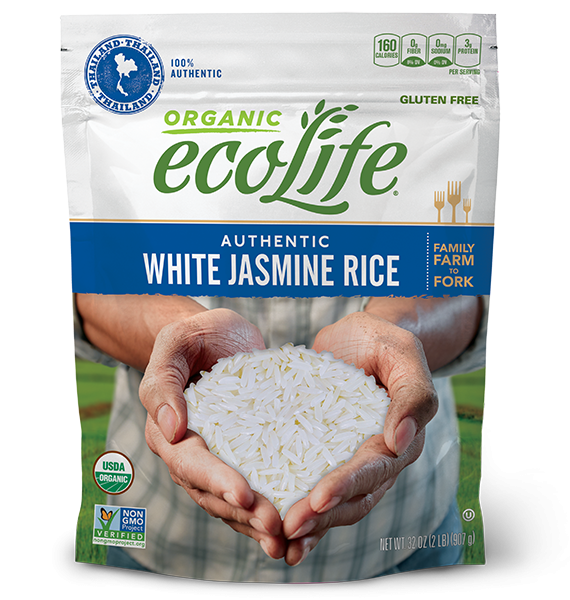 ecoLife Authentic White Jasmine Rice is an aromatic rice grown in the mountain highlands of Thailand, picked at the height of its freshness and gently milled to leave its nutritious bran layer intact. 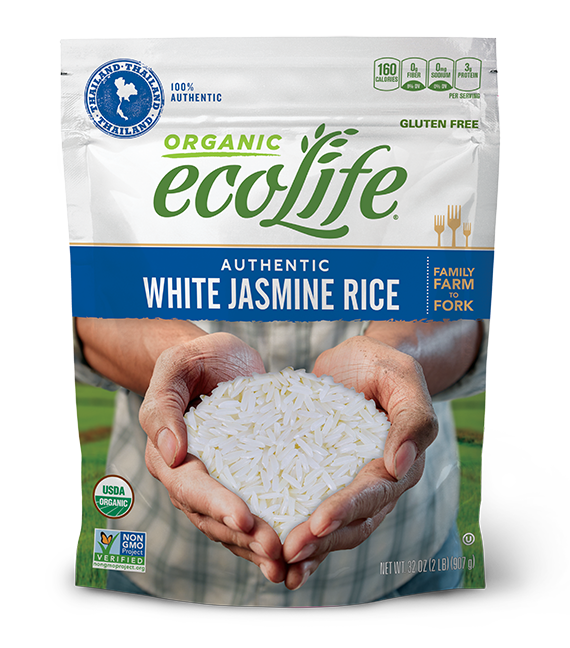 Originally cultivated for the royal family of Siam, today Jasmine Rice is a much-loved staple of Asian cuisine. 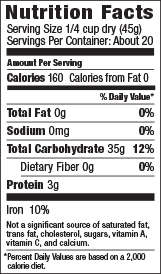 This Jasmine Rice bares the prestigious “Thai Hom Mali” government seal, designating it as the highest quality grain Thailand has to offer. Rinse rice 1-2 times to remove extra starch, then drain. Pour measured water into saucepan and bring to boil. Add rice, oil and salt into boiling water and stir. Remove saucepan from heat and let stand covered for 5 minutes. Serve. Combine 1 cup of rice with 1¾ cups of water, salt and oil/butter in a microwave-safe dish. Cover and microwave on medium for 15-20 minutes*. Allow rice to stand for 5 minutes. Place rice and water in an electric rice cooker. Cover the cooker, turn it on, and cook.